It is produced in the Zuidam distillery, one of the most prestigious in the Netherlands. 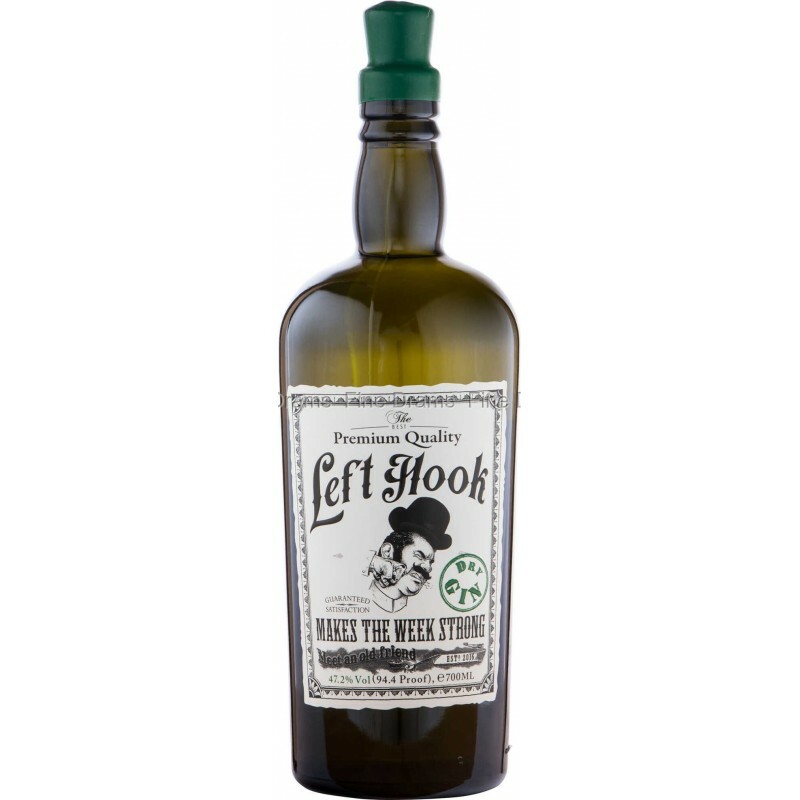 The Left Hook is characterized by its mainly herbaceous and spicy notes, perfectly balanced thanks to a careful production process where the botanicals are distilled separately and for the intense and overall dry taste. The botanicals are distilled separately and then the different distillates are joined together. In this way the production process is long and complex, but it allows extracting the essences of each botany as much as possible. Left Hook Premium Quality Gin is complex, with pungent spicy notes accompanied by herbaceous notes, for a total dry taste that is well suited for mixing in gin and tonic.